A NEW YEAR and NEW BASKETS! PUMPKIN, TERRA-COTTA, MUSTARD and MORE-OH MY! WHAT to do with ALL THOSE SCRAPS! Doris's Craft Basket-This is a great basket for all you crafters! It is large enough to hold your favorite work in progress. It has a woven solid base and a unique wrapped handle with a wooden bead for accent. 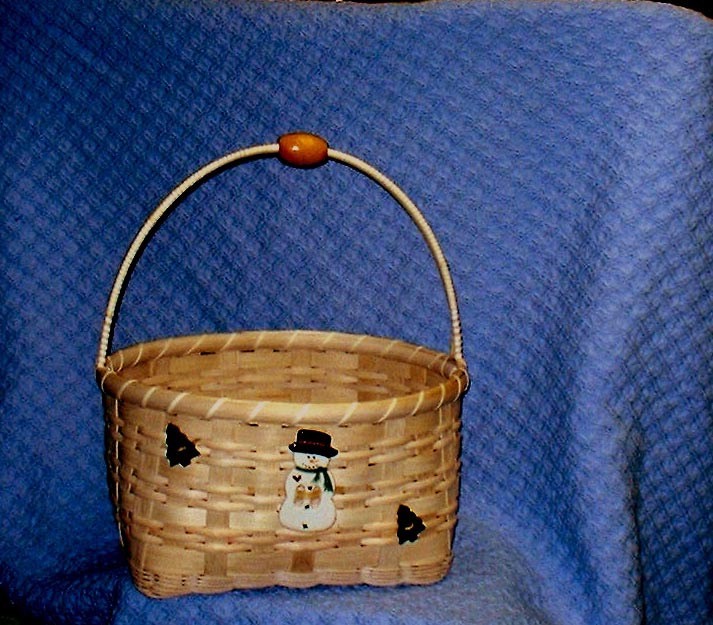 The finished size of this basket is approximately 11.5" long by 8" wide by 7.5" tall.